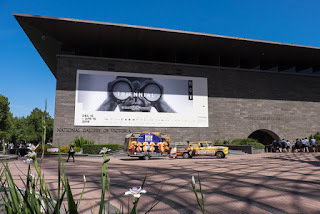 Coming straight after Burnie, I guess that most cities would seem like exciting cultural centres, but Melbourne was definitely the real deal. 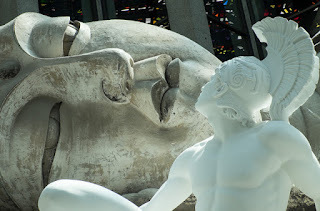 Over the course of two glorious days here, we were treated to fabulous cuisine, cosmopolitan cultures, atmospheric historic architecture, soaring modern buildings, high quality artwork and superb beaches – it was close to the complete urban package. 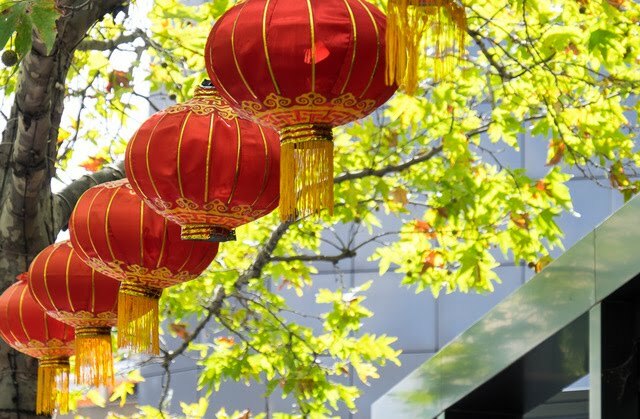 As it was the first day of Chinese New Year, Chinatown was the place to head to, to experience the vibrant melting pot that modern Melbourne haa become. Every restaurant was full to the brim with celebrating Chinese families, so we were lucky to get into the Bamboo House for what turned out to be one of the best Chinese meals I've ever had – lots of delicate flavours really well presented. 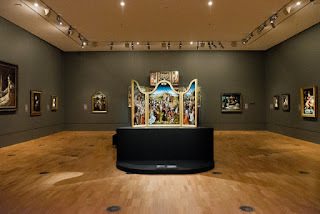 We worked off all this food by feasting on the wonderful collection of the National Gallery Victoria – which has the best collection of European renaissance art in Australia (probably in the whole Southern Hemisphere). When you looked at the array Rembrandts, Memlings, Titians and Van Dyks (amongst many other luminaries), many of them had "Felton Bequest" written next to them. 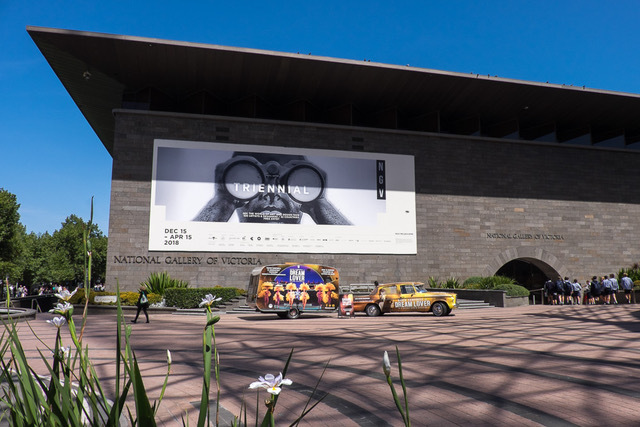 Alfred Felton was an Englishman who made his fortune in the Victoria Gold Rush, and left the NGV an acquisition fund that's greater than that of London's National and Tate Galleries combined. With excellent timing, this was then used to buy up much of the art put up for sale from the Hermitage by the Bolshevik government after the October Revolution. Money well spent. 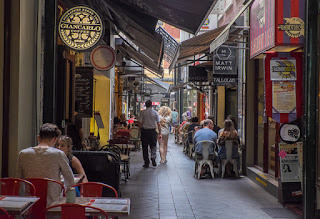 Of course, Melbourne continues to be a wealthy city with a sense of taste, so we did a bit of shopping and stopped in for a drink in one of the many pavement cafes; before sampling the cuisine of another of its major ethnic groups – Greek this time. Melbourne claims to be the city with the biggest number of Greeks outside of Athens, but seeing as there isn't a "Greektown" here (maybe the whole city is one big Greek town? ), we went to Chinatown again to visit a restaurant called Kri Kri to get all the flavours of Athens (although washed down with Tasmanian beer). Aussie beer, in a Greek restaurant, in Chinatown – sums up cosmopolitan Melbourne. 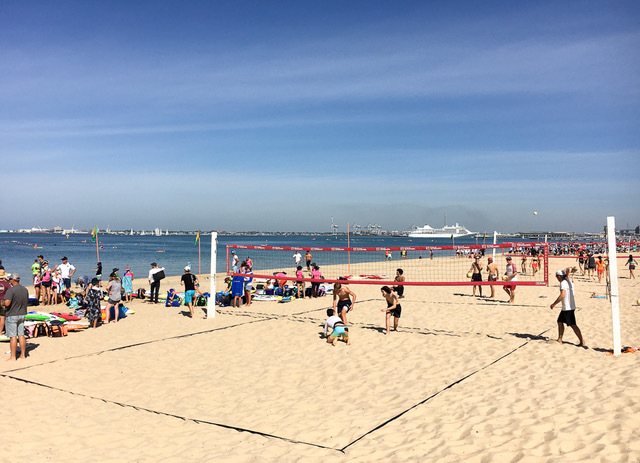 The next day was all about appreciating one element of Melbourne life that often gets overlooked – its beaches. 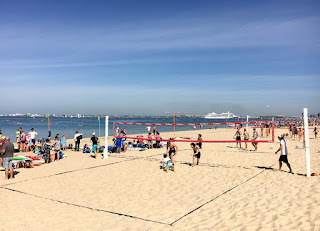 Of course, Melbourne's gentle bay beach can't quite compare with the glorious surf beaches of Sydney; but, on a sunny day when you see its long line of golden sands, then it looks pretty good to me. 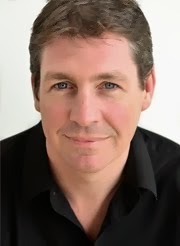 Actually, there were loads of life-saving and volleyball competitions going on, and I can honestly say that I have never felt so old, pale, fat and out-of-condition when compared to the youthful, tanned, and toned athletes all around us. 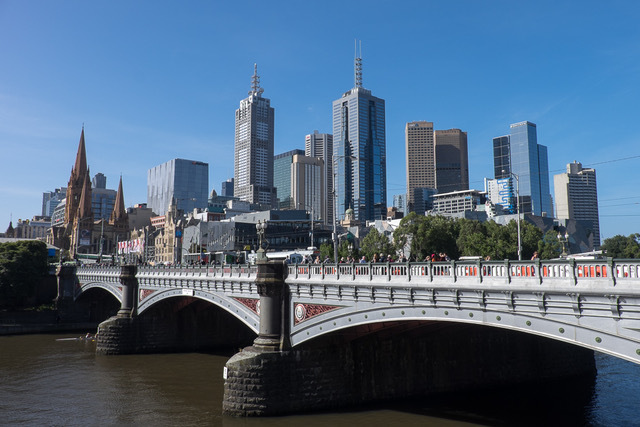 But, in an attempt to get a bit fitter, we were at least inspired to go for a lovely 14km walk along the coast from Port Melbourne and past the resort area of St Kilda. This left us time to meet up with a couple of old friends for lunch and to explore a little bit of Port Melbourne's relaxed atmosphere too. 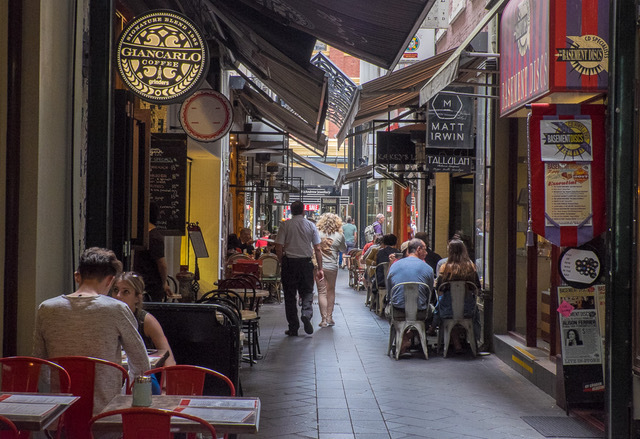 It's not difficult to see why Melbourne has been judged the "World's Most Liveable City" by the Economist Magazine. What a great place!